Beta flight, What is it? Most people involved in this hobby of ours have heard of BetaFlight, but for those that haven’t BetaFlight is an experimental fork of CleanFlight which is optimised for acrobatics and racing. Betaflight is rapidly changing and advancing, as a result, by flashing it to your flight controller you get a cutting edge experience and access to new and developing features. Because it is experimental there are occasionally bugs, these are usually fixed very quickly. – On F1 targets no need to disable acc anymore to get same performance. Gyro readings get priority when in acro mode. – Easy to no tuning. Stock settings for PID1 and PID2 should be very well flyable on most machines. The optimised filters do good job on feeding the cleanest gyro traces to the pid controller loop, which gives better flight experience and easier tuning. – Cooler motors and ESC’s. Better for equipment due to clean filters. – Quaternion logic for Level modes. More precision, less drift and faster performance! Air Mode – This makes it considerably easier to do acrobatic manouvers. Conventionally below mid throttle the effect of stick movements is gradually listened until at zero throttle they have no effect (and frequently the props are stopped anyway). This is great for landing and slow accurate proximity flying as it prevents stick movement at low throttle causing the quad to move aggressively, however, for acrobatics such as flips and rolls, it is exactly the reverse of what is required, for these, the pilot chops the throttle when inverted so the quad is not driving its self into the ground at full throttle, however he wants the quad to manoeuvre aggressively to complete its flip or roll. Air mode addresses this with full impact of stick movement being applied even at zero throttle (the quad should have its props spinning even at zero throttle – something not all pilots currently do and takes a little getting used to). The net result is the quad can flip and roll quickly with the minimum loss of altitude. 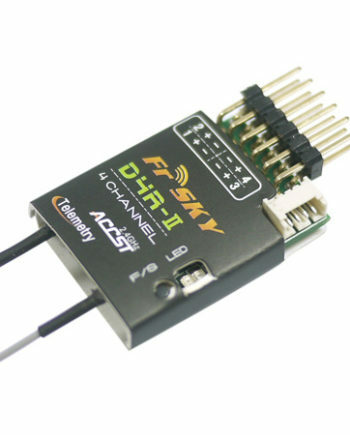 ESC Pass through Flashing – BetaFlight and recent releases of CleanFight allow the pass through flashing of ESCS using the USB connection to the Flight controller, removing the requirement to use flashing tools and disassemble the quad to update the ESC firmware. **WARNING** Betaflight is exactly as the name suggests, BETA software. This means that it is experimental. We do not recommend that beginners to the hobby flash Betaflight. We recommend that newcomers stick with Baseflight or cleanflight. This is a step by step guide to flashing your flight controller with BetaFlight including the new Air mode, followed by pass through flashing of BLHeli ESCs. In this blog entry we will go through a step by step flash of BetaFlight followed by a BLHeli Firmware Flash. The examples used are based on a Sparrow Racing 270mm frame with a Naze32 rev6a acro flight controller, an OSDoge, a FrSky X4Rsb and FVT Littlebee 20a ESCs, other components are irrelevant to the steps shown. Although the configuration used has Arm and Air Mode on separate switch settings it is possible to activate air mode before take-off as Air mode will not take effect even though enabled until a short delay after the quad receives input on both the throttle and Pitch/roll. In the interest of safety Props should be removed from the quad during the entire process. In order to flash your flight controller with BetaFlight you will need the CleanFlight configurator application from the Google Chrome store. Select “Flash Firmware”, the task bar will show the progress of the install. Select the channel map appropriate to the radio being used and if RSSI is being passed in a channel, select the correct channel. Click Save. On the modes tab set up the channels as required (it is important if Air mode is going to be used that Arming is on a switch, not by stick). In the example picture a three position switch (AUX 2) is used for Disarm/Arm/Air mode, a second three position switch (AUX 1) is used for flight mode (Angle/Horizon/Rate) and a third (AUX 3 – not shown) has Beeper and Gtune on it. Betaflight supports pass-through of BL Heli firmware by simply plugging in to the flight controller with a USB lead. Download the latest zip and extract the contents to an appropriate folder. Click on “OK” on the dialogue box then click “Flash BLHeli”. The software will then flash each of the ESCS in turn (one after the other). For each ESCthe same series of dialogue boxes will appear requiring confirmations. Great write up, I found out the hard way about having Motor Stop enabled when using Airmode, I had Motor Stop on and Airmode assigned to a radio swithc, but when I flicked the air mode switch in flight and backed the throttle right back the motors stopped and resulted in a sudden and painful impact with the ground. Having learned a valuable lesson I went back and disabled Motor stop and now when I enter airmode and back the throttle right off the motors continue to spin at idle and all is well in the world. Motor stop OFF = Good, excellent, you beauty. I’ve solved a pb with my setup, naze rev5 Betaflight 216, CF 1.11, little bee 20A blheli 14.3, µminiosd (MWosd 1.5), PPM rx. Unable to change CF page still “waiting” when lipo and usb is plugged. When I unplugged lipo battery, it works again. I also can’t “reach” the esc with the passthrough feature. Just found why passthrough doesn’t work with µminimosd plugged in. It’s an UART conflict ! So, there’s basically two ways to fix that : reasign µminimosd to UART 2 on pins 3 & 4, OR unplug µminimosd during esc programming. Note that µminimosd will conflict also with USB, when COM is open in CF, the reason why CF is still “waiting”. Your problem was that the USB connection on the Naze (and other boards such as the SP3) uses UART1. You shouldn’t connect your OSD to UART1 as when you apply the flight battery during ESC calibration UART1 immediately starts talking to the OSD and doesn’t listen to the motor command from configurator. BUT if you are using serial RX your UART2 is connected to that so you may have to use UART 1 and unplug your OSD to calibrate ESCs. so only way to fix it that i have found is to try to soft mount the fc which is a naze32 rev 6 or turn off dampen light mode. for some reason when i have tried this process of turning off dampen light mode in the past the esc never show up on the software and it states it cannot read them?? i do this step by step. only difference is that im using a Power OSD Pro. however it acts as a pdb as well. so my question is what am i doing wrong. do i really have to unsolder my esc from the pdb install a regular pdb in order to use this pass through method? AGAIN PLEASE HELP I WANNA GET FLYING but cant becasue my quad does whats seen in the video above. yes you are bumping against a common problem at the moment. the vulnerability seems to vary from gyro to gyro, I have seen people with the problem fix it by replacing the flight controller (and thus gyro) with another of exactly the same model and type. Using vibration isolation is by far the best solution as it has no adverse effect, you can try changing dither settings in BLHeli which should change the frequency of the noise, hopefully to one which the Flight Controller is less vulnerable to, people have also suggested using the software lowpass filters to get rid of the problem, however this seems unlikely to work as the noise is not present in the signal the flight controller sees, just the erroneous signal. Turning off dampening is really not a great idea, it will have an adverse effect on the way the quad flies, I would change my motors personally rather than turn off damping. you don’t mention what ESCs you are using, however would recommend upgrading to the latest BLHeli, it has some bug fixes. Hello the first time I used Betaflight with a kingkong 125 drone I had no problem and after changing 1 setting on my radio I think to put it back on betaflight the parameters was good but the mode 2 engine was going up but was not falling in decreasing gasses the big problem I plug it again and beta does not recognize it any more setting I have then change the usb key mode from usb vcp to the last of the list since beta no longer connect could you help me?